Well, there’s always a first time for everything. Quite candidly, when I re-read Robert Barr’s A Prince of Good Fellows after an interval of over half a century, although I was pleased by the second reading, I failed to recapture my original delight. So much so that when I returned the book to my library after writing the April 1 blog (Blog #13, Series #6), I noticed another Barr title I’d evidently never read before, The Sword Maker. After scanning it, I decided to read it and see if I’d been mistaken about Barr’s writing power. I had not. I literally could not put The Sword Maker down! Turns out it is a much more unputdownable read than was A Prince of Good Fellows. I didn’t quit reading until I reached the last page in the middle of the night. The result? Concluding that I must follow up last month’s blog by another book by the same author. The setting is imperial Frankfort in Germany back in medieval times. I’ve always been fascinated by the hilltop castles overlooking the Rhine River, thus when I discovered Barr’s protagonist daring to pit his wits against the robber barons who from time to time brought river commerce to a halt, it was a great opportunity to learn more about that period of German history. I will be most interested in hearing from you, seeing if or not you agree with my featuring this second Barr title. 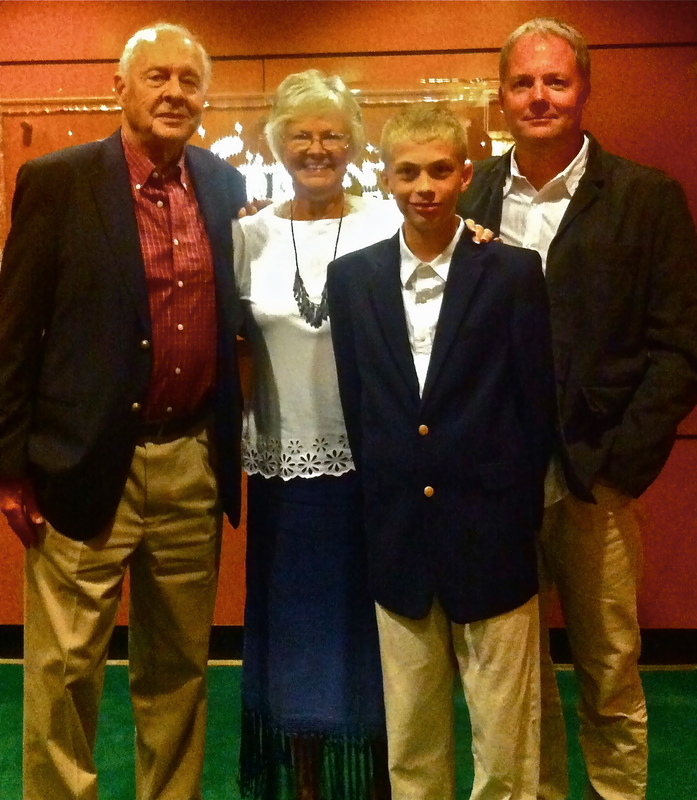 For biographical information, please refresh your memory by re-reading the April 1 blog. I’m guessing that a number of you will now be interested in reading more of Barr’s novels. Here’s a list to help you in your search. 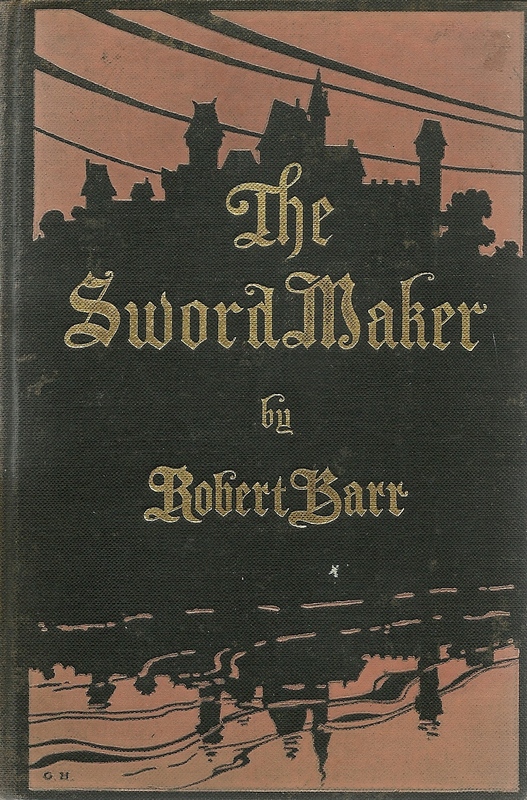 The Sword Maker by Robert Barr (New York: Frederick A. Stokes Company, 1910). WHY SHOULD WE TAKE VACATIONS? This was the question Washington Post columnist Brigid Schulte tackled in her August 10 column in The Denver Post. We are indeed a nation of workaholics. Indeed we are the only advanced economy with no national vacation policy. One in four workers, typically in low-wage jobs, have no paid vacation at all. Those who do, get, on the average, only ten to fourteen days a year. Europeans enjoy twenty to thirty days of paid vacation every year. Depression alone costs the U.S. economy an estimated $23 billion a year in lost productivity. We were not created to run non-stop, but rather to take time off from work at least once a week. Scripture mandates Sabbaths during which we may regenerate. Longer Sabbaths were also mandated periodically. Multiple studies have confirmed one universal truth: Those who work non-stop soon reach the point of diminishing returns. The more hours they put in on the job the less effective they are, the staler their ideas are. So employers who work their employees to death end up losing even more than their employees do. Furthermore, unless you frequently get out of your workplace squirrel cage, you never gain fresh ideas at all, but merely recycle increasingly outdated concepts and methods. America continues to pay a terrible price for our workaholocism. The current epidemic of depression and suicides ought to be a wake-up call for us. We must take time to live! 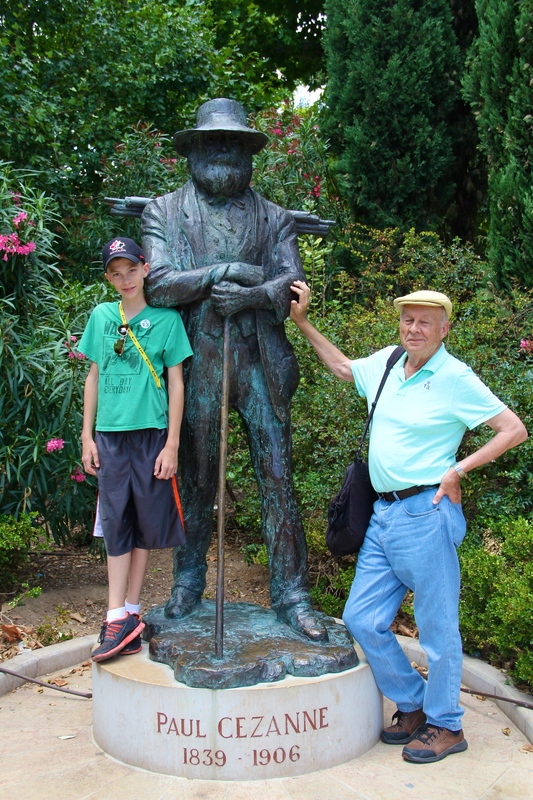 Recently, while we were visiting my sister Marjorie and her husband, Elmer Raymond in Red Bluff, California, Elmer asked if I’d yet read Bergreen’s landmark biography of Ferdinand Magellan. I had not so he loaned his copy to me. All the way back to Colorado, on Amtrak, I continued reading it. By the end, I knew it had to be my next Book of the Month selection. The book is a biography, true; but much more than just a biography, it is the story of one of the greatest and most daring adventures in the history of this planet. If you’ve ever wished to cut your teeth on a book guaranteed to stretch your mind, this would be it. Thirty years that doubled the size of the known world! It boggles the mind just to imagine such a thing. It is true that supposedly Scandinavian mariners had reached Labrador in 986 and 1000, but few people were aware of it. Many considered such a voyage to merely be a myth. It was the fall of Constantinople in 1453 to the Turks that dramatically shifted the western world’s attention in a totally different direction. For now, the Turks controlled the land and sea routes to the East. There was then no consensus that the world was a sphere. The great land mass of Europe and Asia constituted, with Mediterranean Africa, the known world. But then, note what happened! Two nations: Portugal and Spain were to dominate the doubling of the known world in just a few short years, at the then fastest sea-speed known to man, sail-driven caravels and galleons. Portugal’s Prince Henry the Navigator inaugurated the commercial revolution that was to transform the map of the globe. Spain came late to the game. Not until 1479, with the marriage of Ferdinand and Isabella did Spain even become a state. Even then, it took their conquest of the Moorish kingdom of Granada in 1492 to enable Isabella to send Christopher Columbus on his voyage, seeking a sea route to the Indies. Columbus landed on Watling Island in the Bahamas on October 12 of 1492; he discovered Cuba on October 18; on December 25, his flagship, the Santa Maria was sunk in Haitian waters [it has been in the news during the last couple of weeks–apparently its wreckage has finally been found]! During his four voyages to what he mistakenly assumed to be part of the Indies, Columbus also discovered Puerto Rico, Jamaica, Dominica, the Orinoco River, Honduras, and Panama. Had he only known it, when he was on the Panamanian east coast, he was only 40 miles from discovering the Pacific Ocean, the vastest ocean on earth, that Christmas of 1502. He died in 1506, still not knowing just what it was he had discovered. In 1513, Nuñez de Balboa discovered a new ocean, which he called the “South Sea” (the Pacific). In 1497, King Manuel of Portugal, jealous of the honors and wealth that Columbus was bringing to Spain, commissioned Vasco de Gama to find a sea route to India (at that time no one had any idea just how huge Africa was). Mariners for centuries had been too terrified of the unknown to venture south of Africa’s big hump. Forced by storms to take a circuitous route, the 28-year-old captain took 137 days, voyaging some 5,000 miles, to reach the Cape of Good Hope. It would take him 178 more days, and 4,500 more miles to reach Calicut on the Malabar Coast, where he anchored on May 20, 1498. Finally, the Portugese had found a route to India to replace the land routes through Arabia and Persia. Proud of having finally reached the real India while the Spanish navigators were still stumbling around the Caribbean, Portugal hadn’t given a thought to the world west of them. But in 1500, Portugese navigator Pedro Cabral, driven far off the coast of Africa by a terrific storm, found himself on the coast of Brazil. Two years later, Amerigo Vespucci arrived at the conclusion that South America was actually a continent–not part of India. Enter Ferdinand Magellan (1480 – 1521). In 1495, he entered the service of Manuel “the Fortunate,” King of Portugal. He spent his early years sailing under Portugese captains such as de Almeida, in the islands of the Indies. The object of their search was the legendary Spice Islands (the Moluccas), which they finally reached in 1511. In 1513, he was wounded in Morocco. Afterwards, having fallen out of favor with King Manuel, Magellan renounced his Portugese citizenship and offered his services to Charles V” of Spain. He announced his desire to seek out a western route to the Spice Islands by sailing around South America, hopefully discovering a strait through which his ships could traverse. On August 10, 1519, Magellan left Seville with a fleet of five vessels. Little did he know what lay ahead! Of those five ships, only one of them would return after circumnavigating the globe, for the first time in human history. Magellan himself would be killed, after unbelievable hardships, complete with mutinies, desertions, loss of ships, and epidemics of scurvy that decimated his mariners. In those days, no one knew what caused scurvy or how to cure it. As fate would have it, he’d be killed in the Moluccas, the Spice Islands he’d already explored back in 1511. He’d also escaped being murdered by the express directive of the King of Portugal who was willing to kill the explorer rather than have him complete the first circumnavigation of the globe. Even after Magellan’s death, the Portugese did the utmost within their power to keep any of Magellan’s mariners from making it back to Spain alive. On September 8, 1522, three and a half years after leaving Seville, only eighteen of the original 280 mariners arrived back in Spain, more dead than alive, in a crippled ship that barely made it into port. They had traveled over 60,000 miles (the equivalent of over two and a half times around the world!). Fortunately for Magellan’s memory, aboard that one battered little ship was Antonio Pigatetta, the indefatigable chronicler of the expedition; it would be his incredibly detailed chronicles of the epic voyage, published in Venice twenty years later, that would set the record straight, for Charles V cared only for the vast treasure in spices that came home with the eighteen survivors–didn’t even give a passing thought to Magellan’s giving his life on behalf of him and his realm. By making it into the harbor, by that act, Spain displaced Portugal as the world’s premier maritime power, Magellan proved that the world was a sphere and much much larger than anyone had ever dreamed of, that it was possible to circumnavigate the entire globe, and that the known world had in that moment – doubled. With all this as a preamble, you ought to be ready to pounce on a copy of the book, sit down, and get ready for one of the greatest reads of your lifetime. 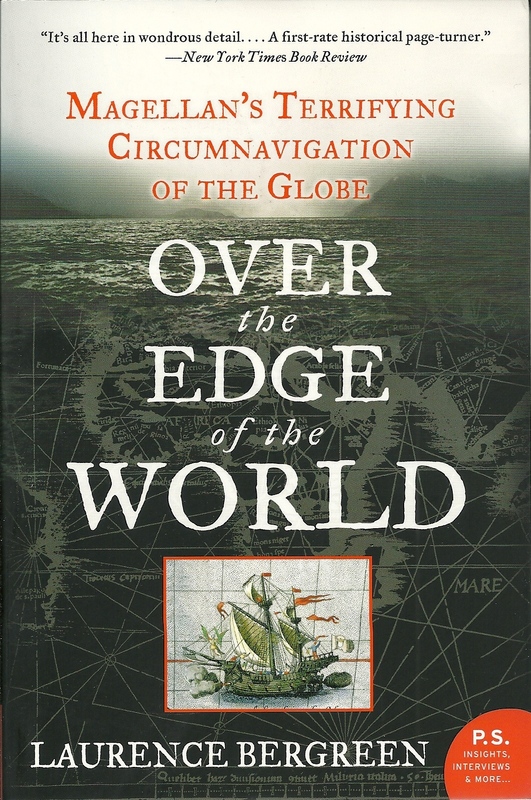 Over the Edge of the World by Laurence Bergreen (New York: William Morrow/Harper Collins, 2003). It has now been published in trade paper; in fact it is already in its 13th trade paper printing. The most famous “Lost Generation” was the post-World War I generation who came of age in the war and Jazz Age that followed. The term was coined in a letter Gertrude Stein wrote to Ernest Hemingway, “You are all a lost generation.” Hemingway then incorporated it into his 1926 novel, The Sun Also Rises, that captures the attitudes and life style of the hard-drinking, fast-living, hedonistic, and disillusioned young expatriates living in Paris (authors such as Hemingway, F. Scott Fitzgerald, John Dos Passos, e. e.. cummings, Archibald Mac Leish, Hart Crane, and others). These writers considered themselves lost because the unbelievably brutal so-called “Great War” had stripped them of their illusions, turned them away from religion and spiritual values, and left them in a twilight world in which nothing made sense. Not surprisingly, it segued into theater of the absurd writers such as Pinter, Ionesco, Brecht, and Beckett, who wrote plays in which little or nothing made much sense. In it, the writers postulate that the economic meltdown of the last five years has created a group of young people who have come of age during the most prolonged period of economic distress since the Great Depression. Only this time, unlike the earlier “Lost Generation,” today’s young people are lost because the economic underpinnings they assumed their education prepared them for, are no longer there now that they have graduated and are looking for such jobs. They are worse off in another respect: they are saddled with student loans that, in good times, they could gradually pay off, but in bad times (think no job at all, minimum wage, or part-time jobs), they don’t see how they can ever pay them off! The writers note that the unemployment rate for Americans under the age of 25 is two and a half times higher than the rate for those 25 or older. But even that rate ignores the hundreds of thousands of young people who are going back to college, enrolling in training programs, or just sitting on the sidelines. entire generation is putting off the rituals of early adulthood: moving away, getting married, buying a home and having children.” 56% of 18-24-year-olds are living with their parents. In earlier times, young people could at least look forward to a strong recovery, however all the current projections are for a long weak economic recovery, and by the time it finally does happen, the bloom will long since have been gone from the degrees of untold thousands of young people caught in the backwash of today’s global fiscal collapse. Perhaps we shall need to re-evaluate the entire educational construct. With four years of college now costing $100,000 – $200,000, it may be necessary to come up with an entirely new method of preparing our youth for their adult life and careers. In earlier blogs, I have referred to my own fascination with the turning of zeroes, how every fin de siecle results in a fruit basket-upset of all the values by which society lives. 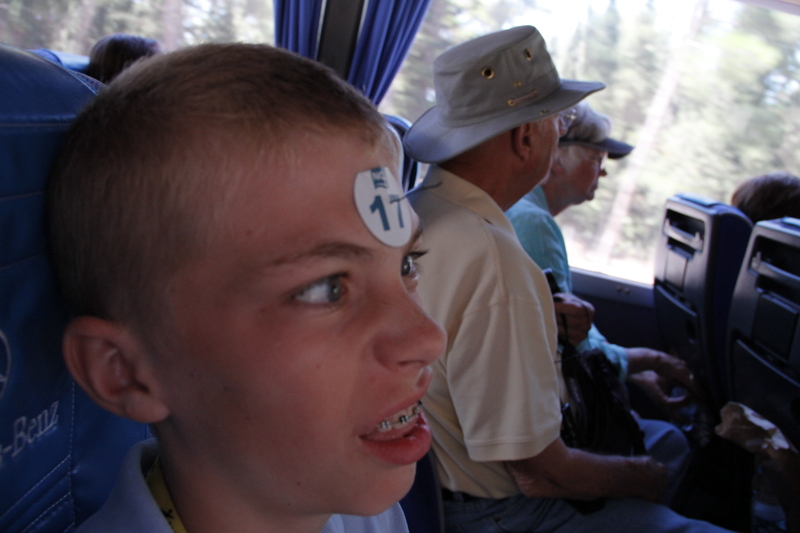 Well, the last eleven years have proved that my assumption remains valid. Almost nothing is the same as it was back in the 1990’s. For one thing, never before has our planet been more interconnected, with national borders meaning less than today. The world wide web has nailed the lid on that old order. Thanks to this web, dictatorships are falling like so many dominoes in the Middle East. But what takes their place is anyone’s guess. Perhaps the supreme question is this: Is democracy possible in the Muslim World? Or does the theocratic nature of Islam preclude the establishment of a true democracy. As I write these words, thoughtful Egyptians are extremely apprehensive about what may follow Mubarak. No one knows if Tunisia is capable of establishing a free society. The same is true of Libya. Turkey has been tilting backwards from a secular free society towards theocratic governance. What we do know is that all across the Middle East there is a yearning for the freedoms we westerners take for granted. What is coming at us, no one knows. All we know is that there are ominously deep cracks in the old one. According to famed economist, Kenneth Rogoff, “Europe and the U.S. are not experiencing a typical recession or even a double-dip Great Recession. That problem can ultimately be corrected with the right mix of conventional policy tools like quantitative easing and massive bailouts. Rather, the West is going through something much more profound: a second Great Contraction of growth, the first being the period after the Great Depression. It is a slow-or no-growth waltz that plays out not over months but over many years. [Quoted by Rana Foroohar, in “The Decline and Fall of Europe (and maybe the West),” Time, August 22, 2011]. In the U.S., as elsewhere in the world, what is desperately needed is not politicians but statesmen: men and women who put the good of their country over mere re-election. In times like these, weakness at the top will inevitably prove fatal. Not a temporizing Chamberlain but a Washington, a Lincoln, a TR or FDR—a Winston Churchill. This is why so many current “leaders” are going to be “weighed in the balances and found wanting.” (See William Broyles “Oval Office Appeaser” (Newsweek, Aug. 22, 29, 2011). So, with Japan still reeling in the East, does that leave China as the answer? Not likely. China’s current growth rate of 8% will inevitably stall, and ominously its people are pouring billions into a housing bubble that may be even worse than those experienced by Japan and the U.S. (See Niall Ferguson’s “Gloating China, Hidden Problems,” Newsweek, August 22, 29, 2011). Next Wednesday, we’ll discuss some of them. 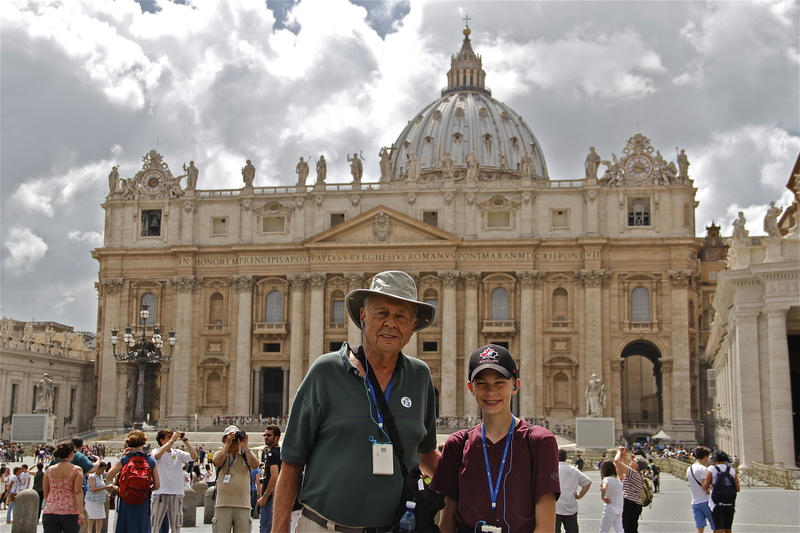 In early August, our grandson Taylor and our son Greg, joined Connie and me on a whirlwind visit to Spain, France, Monaco, Italy, Vatican City, and Croatia. The day-trips were long (9 – 11 hours the norm for most of them) and the pace far faster than we’d have preferred [more on that in a later blog series]. I had the advantage over the other three in that I knew Spanish. Because of that, I understood some French and two-thirds of the Italian dialogue. Croatian, of course, was a different story. I found that perception reinforced by others I spoke with. Gone is their erstwhile euphoria and smug complacency; gone too the unspoken assumptions that the entire continent would bask in lolling on their beaches during the entire month of August and that the cradle-to-the-grave care they’d been promised by the state was a given. In their daily news, the dominoes continue to fall: first Greece, then storm clouds gathered over the likes of the U.K., Ireland, Portugal, Spain, Italy—and now, possibly France. No one knows what nation’s economy will come under fire next. As for the U.S. and our part in the global fiscal mess, I found that, rather than anger they felt disillusioned, accompanied by a profound loss of respect. They clearly expected much more of us than for our administration and Congress to put their possible re-election ahead of the needs of the American people and the world. For it was our inexcusable unwillingness to come together for a solution to our national debt ceiling that has exacerbated and even precipitated the world-wide plunge of stock markets. Truly, we are faced with a global crisis of epic proportions, a subject I have referred to from time to time in earlier blogs: That no global template lasts. Sooner or later it wears out, and something entirely different inevitably follows—usually after years of world-wide trauma and upheaval. We will continue to explore this subject in next Wednesday’s blog.